The National Geographic Society recruited one of the top geneticists in the world at Johns Hopkins, focused on autosomal genetic markers. He has spent the past two years identifying every known marker relevant to ancestry or population genetics that is NOT medically relevant. This includes the X and Y chromosomes, mitochondrial DNA and the balance of the autosomal markers. This chip has been designed to distinguish between populations. The results will be presented as a personal story. This entry was posted in Admixture, DNA Testing Companies, Ethnicity, Genographic Project, History and tagged Historical or Obsolete by Roberta Estes. Bookmark the permalink. This is truly amazing!!!!!!!! I definitely want to be involved and please keep us posted with the progress. My only concern is what will happen to our current projects at FTDNA? Will they become invalid or is there any upgrade in sight for them? In other words, will the Nat. Geo. project be different from our FTDNA projects???? There won’t be separate Nat Geo and FTDNA projects. The FTDNA projects are what will remain in place, just like they are today. So if the FTDNA are the projects that will remain, will that mean that everyone in the project will eventually have to upgrade to participate in the new technology? If you want the new tests, yes, you’ll have to order them. Family Tree DNA clients will be offered an upgrade option later this year. I’m absolutely stunned, of course! Among the many questions, may I ask you these two? 1. 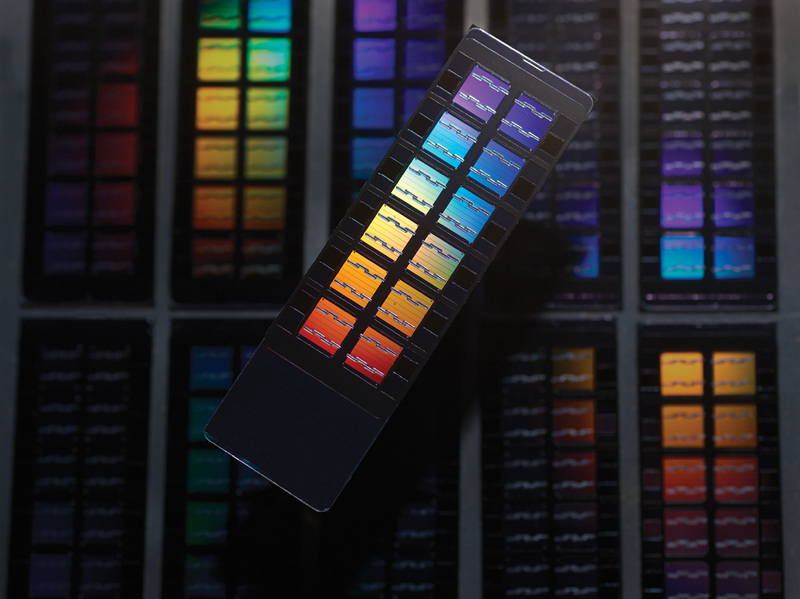 All those 1200 samples that were used to test the chip… are all those people aware of it, and are they getting their results for free? If so, when? Hopefully some will share them with their fellow genetic genealogists! 2. When do we get to see this new Haplotree? I take it the 12,000 Y SNPs not yet been publicly shown on Ymap? Any idea when they will be? 1. I don’t know about the financial arrangement, i.e. if they got their tests for free, with the folks whose DNA was used to vet the new chip. I do know I wasn’t one of them. I do know that we have been under very strong, signed, nondisclosures. 2. I don’t know when the new tree will be made public. I’m betting there is a publication in process, but I don’t know that for sure. This would seem to be too important to not publish in the academic literature. As far as a publication, that’s great. It didn’t occur to me, amidst all the other wonders. It could be that’s why someone said on a forum that there were rumors of a Hammer et al paper revealing a new haplotree. I thought the rumor was probably arising from the Hg. A paper, which will restructure the roots of the tree. I’m extremely curious to find out how many of our new A SNPs are on this chip already! Please write the next tax laws ! OK, so if our sample is over 5 years old we’ll have to order a ‘new’ test anyway, but for newer samples at FTDNA they might be able to just order an upgrade? I am so excited about this, but I am also more than a bit discouraged as I have been pushing new FF tests, and bought several myself. Yes, for newer samples, you will order an upgrade. These don’t replace the utility of Family Finder tests. They augment them. I don’t know in the future how this test and Family Finder will dovetail and how that will shake out. Initially, these test kits will only compare with the Nat Geo data base. If you want to be in that data base, you’ll need to take this test. For cousin matches, today, the results are in the FF data base and that’s what you want to be able to find cousins. 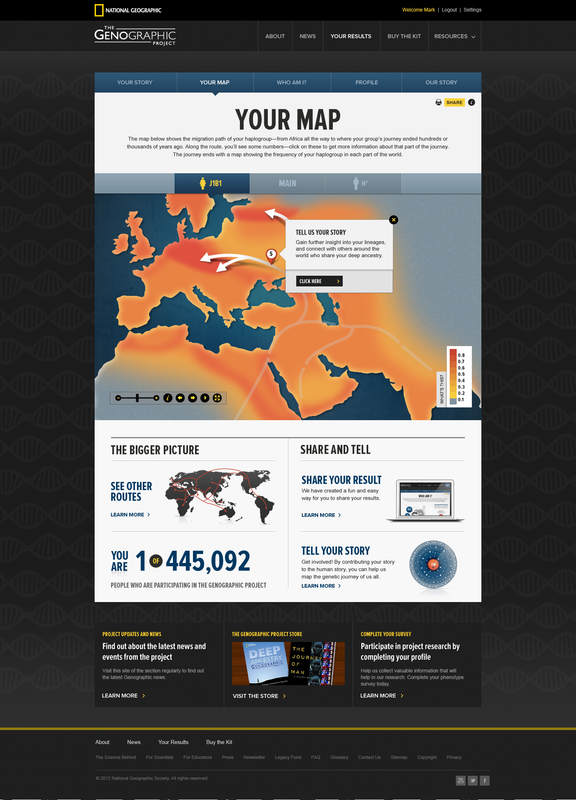 I planned on testing with Family Tree for my mtDNA but I guess it would be better to test with Nat Geo. My aunt just tested with Family Tree and did her mtDNA. Will it be the new test or will she have to upgrade also? The Nat Geo test tests more than just the mtdna. It tests autosomal too, so it costs more than the mtdna test alone, unless you’re doing the full sequence. So it depends on what you want, and when you want it. Any test ordered now or already in process is NOT the new version. The new tests won’t be shipping until in October. Do you know exactly what the new test will cover if your female? Mitochondrial at the full sequence level and autosomal. Is the full swquence level HVI and HVII and can we order them now? No, the HVR1 and HVR2 are only a small part of the full sequence. You can order now, but the kits aren’t shipping until October. Also, keep in mind, I haven’t seen the results, so I don’t know if you receive your markers or not in a way that is comparible to others who have taken the normal FTDNA tests. Is NG Geno 2 expected to resolve puzzles like the following? Examining the same Y-chromosome and mitochondrial DNA markers used in other genetic studies, these 131,060 Icelanders “revealed highly positively skewed distributions of descendants to ancestors, with the vast majority of potential ancestors contributing one or no descendants and a minority of ancestors contributing large numbers of descendants.”7 In other words, the majority of people living today in Iceland had ancestors living only 150 years ago that could not be detected based on the Y-chromosome and mitochondrial DNA tests being performed and yet the genealogical records exist showing that these people lived and were real ancestors. Hi Steve. From what you copy/pasted, this focused on yline and mtdna, not autosomal. The great benefit DeCode has is that they have put together the genealogy of all of the people of Iceland so they can effectively study heart disease. Having an entire genealogy of an isolate population provided them with wonderful research opportunities. I first tested with National Geo. Genographic Project and then transfered my info to FTdna. Since then I have had my mitochondrial dna tested at the full sequence level and also tested for Ftdna’s Family Finder. This just a few years ago. Will I be automatically contacted by Ftdna to upgrade to the new 2.0 test or do I have to notify them of my desire to upgrade? For anyone into deep ancestral genetics, this is amazing – or dare I say, revolutionary! I’m especially happy that they’re bundling in high-resolution mtDNA testing, which doesn’t help much with traditional genealogy, but is invaluable for deep ancestral and population genetics research. Question: I have an elderly, future grand-uncle-in-law in Philippines who has never had any genetic tests done and has agreed to let me order a genetic kit for him, as we are curious to find out his family’s deep ancestral origins from all different angles. 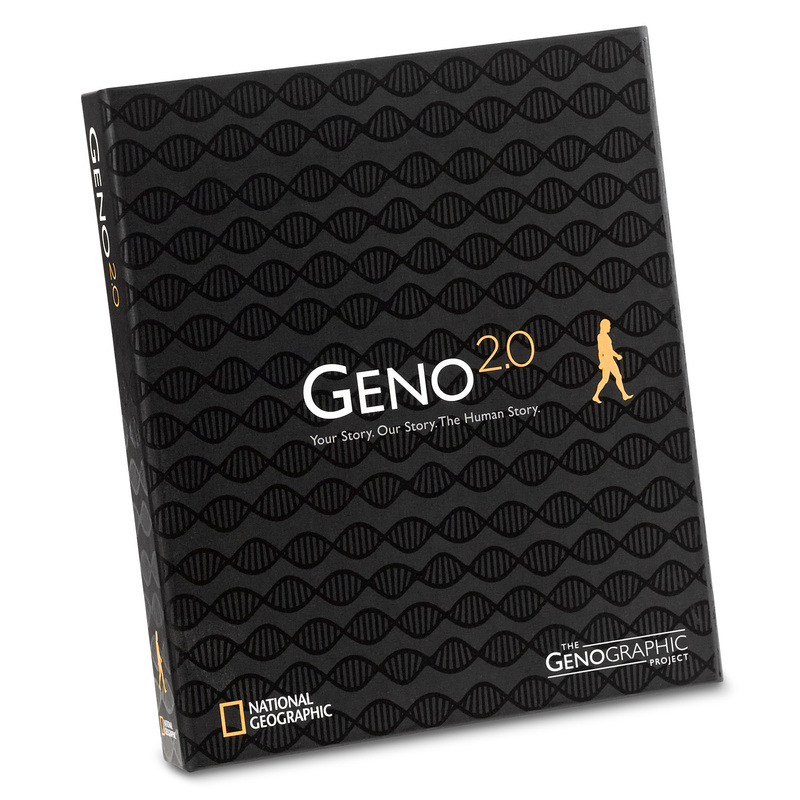 If I were to order this kit for him through NatGeo, and he had his results transferred to an FTDNA account, would I be able to order mtDNA FGS, FF, or STR-67 from within his new FTDNA account, on the same Geno2.0 sample of DNA? Would I need to send out an additional FTDNA collection kit upon ordering FGS, FF, or STR-67? Geno2.0 ships internationally for an additional $40, but FTDNA only ships to certain countries, not including this one. (Mail often takes *months* to reach the hinterland, off-the-map areas… …and expensive-looking packages sometimes disappear altogether.) Whatever the difficulty, I’m eager to run as many tests as possible on my fiancée’s elderly family members while there is still time. I would suggest that you order the Geno 2.0 kit and the Family Tree DNA kit for the other tests and have them both sent directly to you. You package them up together and send them to him. I enjoyed reading your explanations on the announcement of the National Geographic – Geno 2.0 project. I hope I can ask a few questions. 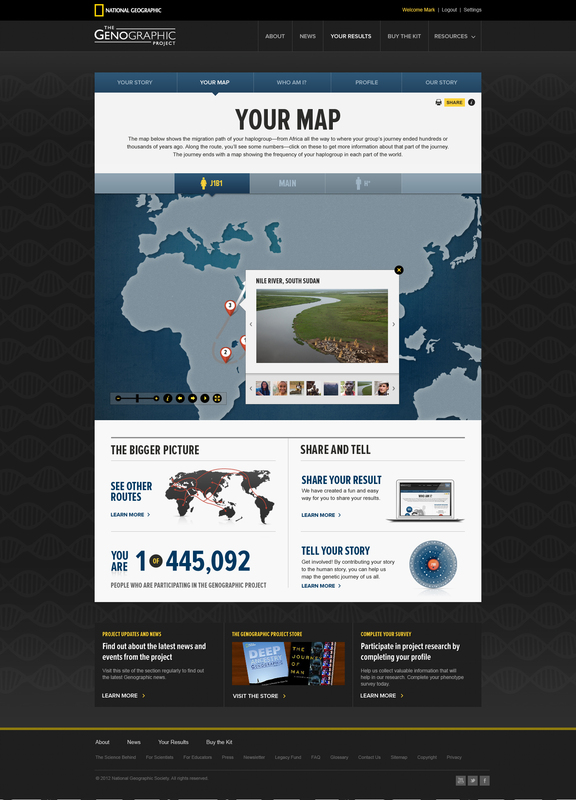 1) I had my mtDNA and Y-line DNA tested last year from Nat Geo Genographic Project 1. And the results were Haplogroup J*(Subclade J*) and Haplogroup G (M201) respectively. I was wondering if the National Geographic – Geno 2.0 would have deeper resolution on my two lines. I see in the example you pasted above that the Haplogoup y-line was H*. This doesn’t seem very deeply resolved with all the SNP’s you mentioned they will test for. So I wonder if I do this test if the resolution will still be the same as I already have for both mtDNA and Y-line DNA? 2) Will the Red Deer Cave People also be in the test? Perhaps at a later date when their DNA is tested? 3) I have several ethnicities from different parts of the planet which are either rumoured or denied by family members, will this be revealed in the autosomal testing? 4) Will the ancestral dating or generation of various ethnicities be known though the test? 5) There are several medical issues in our family lines, how can I get the genetic tests for these since they will not be included in the tests at Geno 2.0? 1. Yes, much deeper resolution on the new Geno 2.0 test than before. 2. So far, DNA extraction on the Red Deer Cave people bones has not yielded any DNA. So no, they aren’t included. 3. Yes, various ethnicities are included so long as they have a sample population. I don’t know how detailed this breakdown will be yet. 4. In some cases, via haplogroup migrations, we do know ancestral dating. However, for autosomal DNA, we can’t tell that from DNA testing. I have had 111 markers tested. What will this test do for me? It will give you your deep ancestry haplogroup further than it can be obtained now. It will give you percentages of ethnicity and it will give you your mtdna haplogroup as well. I’d love to have my brother’s sample tested. He died in Dec 2010 but his most recent sample was taken Oct 2010 (First sample was in 2005). Thanks for the blog. It helps a lot. Neither Bennett nor Max have told me that they’ve changed their plans. So to tbe best of my knowledge, it’s still true. The new Geno 2.0 is testing SNPs for Yline that have never been offered before in a commercial setting and also many, many autosomal SNPs for ethnicity as well. 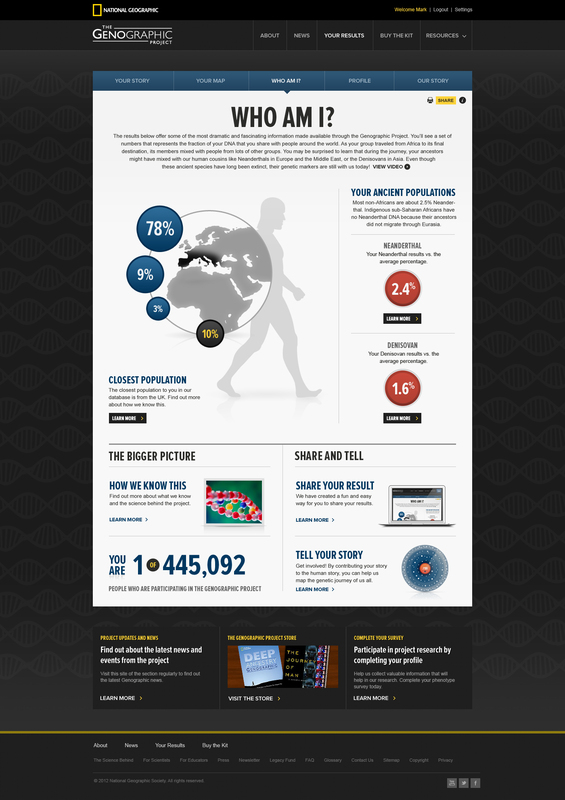 So while the 23andMe and Family Finder are very similari in terms of what they test, Geno 2.0 is a world apart. I tested WTY and FSG mtDNA. However, I never heard if my DNA was used to vet the new chip. In your opinion, is there much more to be gained for me with Geno 2.0? There are two aspects that might be of interest. First, depending on when you did the WTY, there may be more known SNPs now. Also, they test all SNPs believed to be equivalent and they may not be. Second, you will receive the ethnicity calculations. As far as the mtdna, you’ve already done the entire sequence, so no, nothing there. The WTY was done in May, 2011 and the coverage was only 186942. You wrote: “they test all SNPs believed to be equivalent.” Are you talking about WTY or Geno 2.0? Thanks. Geno 2.0 is testing all SNPs that are believed to be equivalent. In the past, if you tested positive for one of those, it was sufficient to classify you within a haplogroup. What that meant is that a lot of those SNPs were never tested and the assumption that they are always equivalent might not be true if enough people were tested. So, they are testing them all in Geno 2.0. So, I just signed my mom up for the entry-level mtDNA testing at Family Tree DNA and signed up for the blog, and now I read this! It’s exciting, but where does this leave me with a just-purchased kit? You’re just fine. The kit your ordered will provide you with specific mutations and people whom she matches. 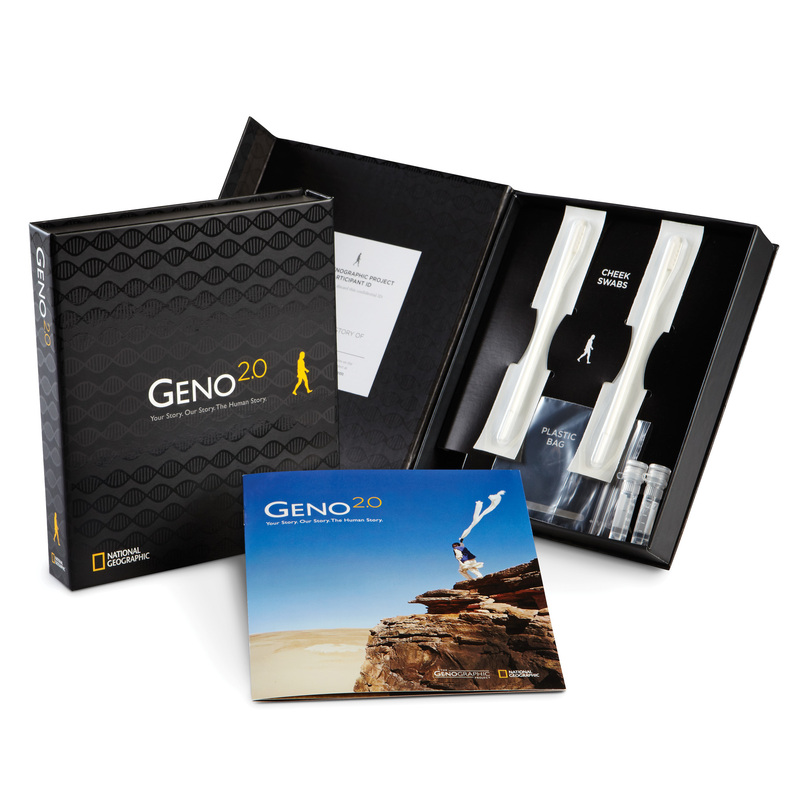 The Geno 2.0 kit won’t provide that for mitochondrial DNA. So breathe easy and enjoy the journey:) And welcome! I’ve heard nothing. I don’t expect it will happen until after the initial orders are processed. Pardon my dummy-like questions, I’m very new (and clueless) to this. I saw you mentioned Family Tree DNA, and checked out the website. What exactly is the difference between FTDNA and Geno 2.0, aside from FTDNA allowing users to find their relatives? I’m not focused on finding people though that would be pretty awesome; my main intent is to discover extensive results on my heritage/genealogy/anthropological history. Should I combine Geno 2.0 with a (female) product from FTDNA? I read their product description, along with your blog, but there’s too many fancy Science terms I do not understand, but will try to familiarize myself with it. Family Tree DNA is a testing laboratory that does testing for individuals and many different organizations. 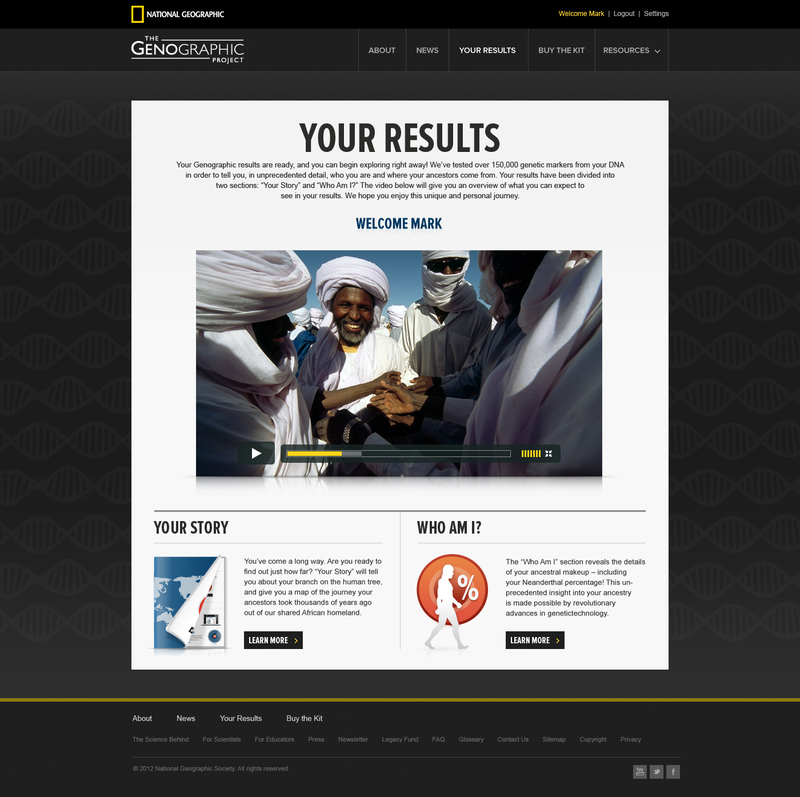 It has several tools to aid in discovering your genetic heritage. It is also the home of many ad hoc member projects that you might like to participate in. The National Geographic Genographic Project is primarily interested in the migration patterns of different ethnic groups around the world throughout human history. I don’t think anyone knows just how much new information and knowledge will come from Geno 2.0. As far as additional testing from Family Tree, I would wait a while to even think of that. I participated in the original Geno 1.0 project, (only 12 Y chromosome markers,) and later expanded that testing with Family Tree DNA to 67 markers and mitochondrial testing. The total cost of those tests was several times the cost of Geno 2.0, even though the amount of data promised from Geno 2.0 will be thousands of times that of the original Geno 1.0. It will probably take years to evaluate the results. It’s gonna be an exciting ride. I wouldn’t miss it for anything. Thank you, Don! I can’t wait to begin. Collected the cheek scrapings and mailed them back Priority Mail within two hours, because I just didn’t want to wait another day! I participated in Geno 1 together with my wife and was disillusioned with the amount of detail in the results (my expectations may have been too high). I am now thinking about getting involved in Geno 2 as it looks much more promising in terms of the level of details. My question is how much information of my ancestry (or lineage) would be apparent or available especially from the last few generations? Or should I include additional ancestry tests to Geno 2? I am of mixed parentage in Asia. when the first project came out, an article in Newsweek indicated the limitations: your Y DNA is Japanese and your Mtdna is Mexican, but that ignores the 1100 Swedes in the middle! This new project promises so much more. There was a time that I seriously considered offering the test to various cousins to fill out the branches of my family. It looks like this GENO2.0 will save me a lot of time and money! I’ll have my brother tested again since I’m assuming a woman’s test would not provide her father’s DNA. How about spelling the name of the world-renowned institution correctly? It is Johns Hopkins, not John Hopkins. Good eye. In over a year, no one else caught that. It’s fixed now. Okay, I’m a bit confused. This post appeared in my blog reader just now (late morning, Dec 1, 2013) with a date stamp of Dec 1, 2013 8:42am, but when I go directly to your website it’s showing a July 2012 date. I did the Geno 2.0 test months ago. I’m guessing there isn’t a new test or is there? It’s old. Wonder why it was delivered to you today. I have no idea. Maybe somehow it’s connected to your “Good eye” response to the comment before mine. The good part is that it got my attention and got me back focused on keeping up with the science! And it’s still a great article and well worth reading again. 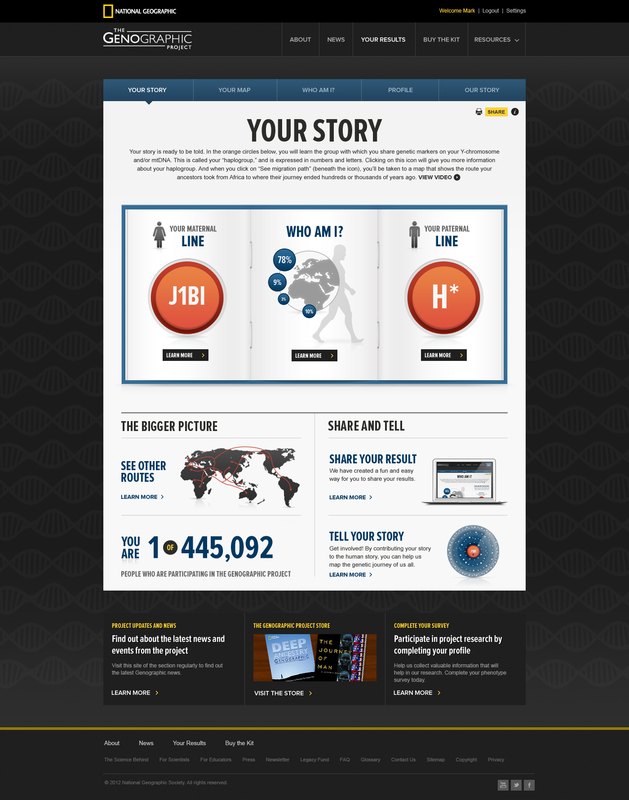 I participated in the first project and found out that I belong to Haplogroup HV. I just recieved 2.0 and I am wondering when I get my results, will this change the Haplogroup? Or is it adding the paternal line? I am adopted so all of this is very important to me! It could revise your haplogroup. If you want the most information possible, you’ll want to take the full mitochondrial sequence test at Family Tree DNA. It won’t add the paternal line in that you don’t have a Y chromosome. You can take the Family Finder test at Family Tree DNA to match to your cousins on all lines if you haven’t already taken that test. I got my results and I’m very disappointed in what I received. The very general nature of the your results could be the same for everyone , just change the per centages. I could have went to mystic and got the same for less money! I thought I would get a detail breakdown of the my DNA , like Ancestry.com. what is the 1.1% dna N.G. didn’t give me a result for? So, if I am a woman will my results only cover my mother’s side? If I am particularly interested in my father’s side’s ancestry should I just have him take the test? Yes, just have him take the Y test for his direct paternal line and the Family Finder for his autosomal.